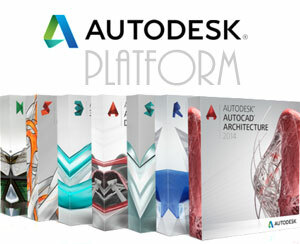 Free 3D models software: digital art 3d artists, Links exchange reciprocal banners. Ground Rules: 3D modeling, rendering, digital art, and graphic design software related websites only. Unrelated websites will be removed. The top list positions your banner accordingly the highest amount of 'In' clicks. Our banner (counting code) will be provided during your submission. This is an automated banner and links exchange top site engine. Please make your reciprocal banner ad as informative as possible. We keep the right to remove any text or banners that do not comply with the following conditions. • Banners and links should relate to digital art and may not contain pornographic, racist, and illegal or hatred material. • Websites that do not have a reciprocal back link will be removed. • IP matching - any person found cheating on this site will be immediately banned. Do Not modify, publish, transmit, participate in sale, redistribute, or in any way exploit any of the materials on our sites without placing one of the reference links. Please do not link 3D models and pictures directly from the site, download and store them on your web server. You may not actively redistribute or sublicense any of 3d model source files or other digital media under any circumstances. The digital media may not be used in any online or other electronic distribution system, such as online galleries or collection of graphics. The images and models displayed here cannot be used for any commercial purpose, without written consent of the original author. Email us if you have any questions. You may buy software online or make a discount software purchase at reseller's computer software sale. Buying or downloading free software version online is entirely your choice. We do not resell, sell, or license any of the computer software or information that we provide, list, or advertise on our sites, and we disclaim any responsibility for or liability related to them. Your activities with third parties, including payment and goods-delivery transactions, are solely between you and that third party. You agree that we will not be responsible or liable for any loss or damage of any sort incurred as the result of any of your activities with third parties. Any questions, complaints, or claims related to any product or service should be directed to the appropriate merchant.